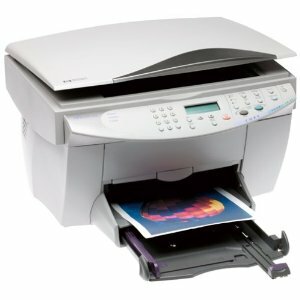 Does the Officejet G55 have printheads to replace? The HP Officejet G55 printer requires the HP 45 black and HP 78 colour cartridges, both of these items contain the printhead and cartridge in one unit. It's a doddle to get crisp, clear printouts with the HP G-55 printer. Some day your HP G55 will run out of printer ink, and then you'll quickly realise that replacing HP G55 ink is often expensive. Thank goodness you don't have to bother about shelling out the steep fees you'll uncover on the main street because here at Cartridge Save you can get all the HP G 55 cartridges you will need at really small prices. Start to save cash on your ink by shopping online at Cartridge Save! There's no sense in spending so much for the G-55 original cartridge or G55 compatible ink in the main street when you can easily save a bunch of cash ordering with Cartridge Save. Get full confidence when you order OfficeJet G55 ink cartridges from us because everything is guaranteed by a quibble-free money back guarantee. Take into consideration that every purchase has free delivery, usually delivered to your doorstep on the following working day! The HP Officejet G55 is an all-in-one printer. Aside from delivering crisp text documents and high-quality coloured prints, it is also capable of copying and scanning. As it is a level-entry all-in-one printer from the HP G series, it lacks more advanced features, such as fax and an ADF. Networking tools don't come standard. With dimensions of 29.2 x 47 x 43.9 cm, the HP Officejet G55 is rather bulky. It has a flatbed scanner on top and a Deskjet printer at the bottom, plus an intuitive control panel with an LCD display. The HP Officejet G55 has a monthly duty cycle of 5000 pages and an input tray with a capacity of 150 sheets. The all-in-one HP Officejet G55 is perfect for users who want to save desk space. It packs 3 functions in one compact machine. Print and copy quality is good; in fact, the HP Officejet G55 can copy for 99 pages straight. Networking is possible through an external server. A duplexer can also be bought separately. The HP Officejet G55 lacks several features that busy small offices need, including an automatic document feeder. Unlike other all-in-one printers, the HP Officejet G55 does not have a fax machine. Printing and copying speed is also slow.